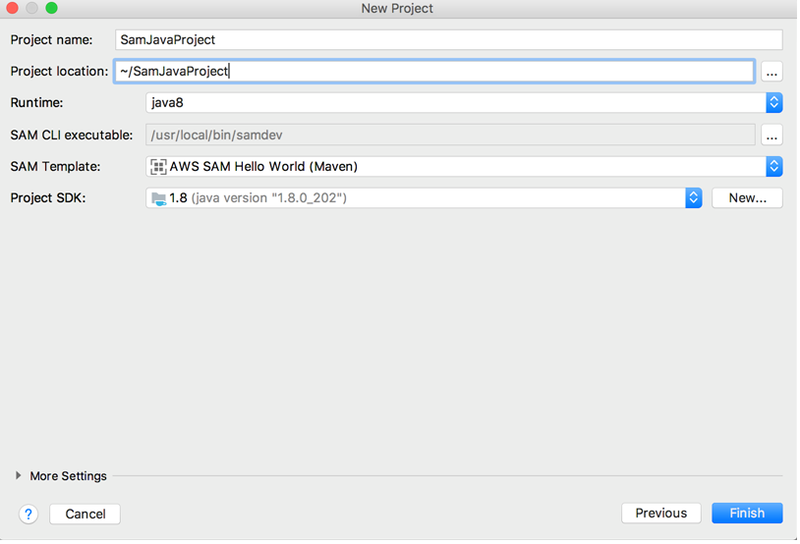 The AWS Toolkit for IntelliJ is an open source plug-in for the IntelliJ IDEA that makes it easier to create, debug, and deploy Java and Python applications on Amazon Web Services. 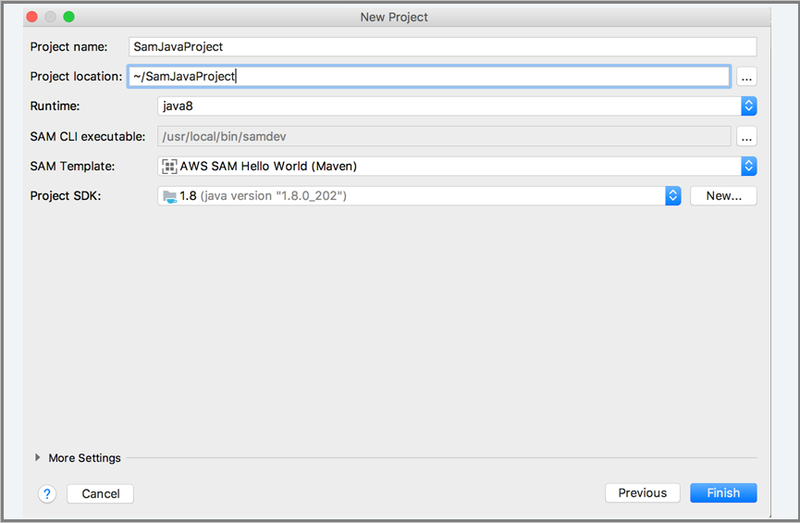 With the AWS Toolkit for IntelliJ, you can get started faster and be more productive when building applications with IntelliJ on AWS. 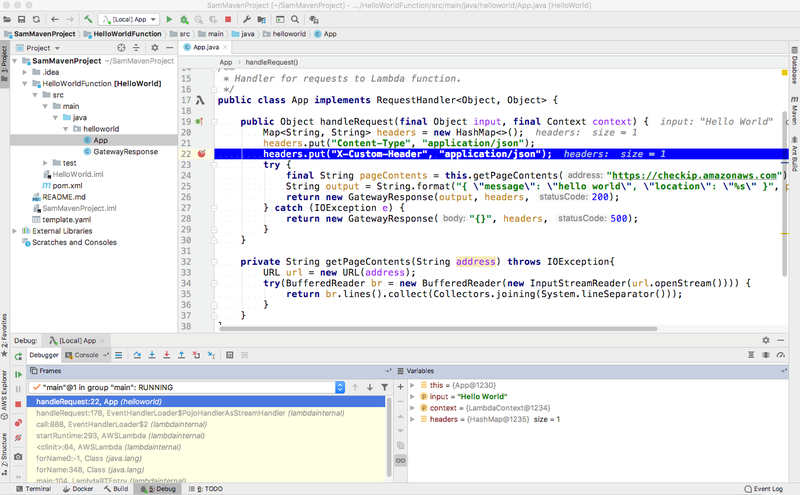 The toolkit provides an integrated experience for developing serverless applications, including assistance for getting started, step-through debugging, building, and deploying from the IDE. 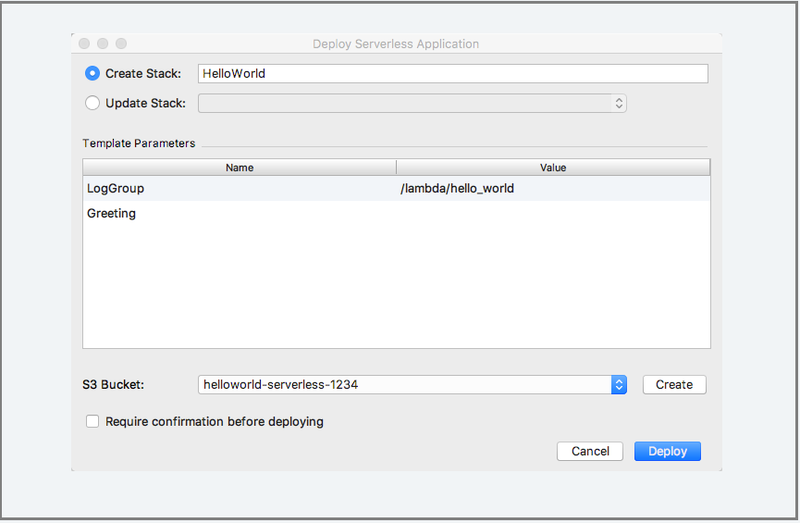 Select a quickstart serverless application template. 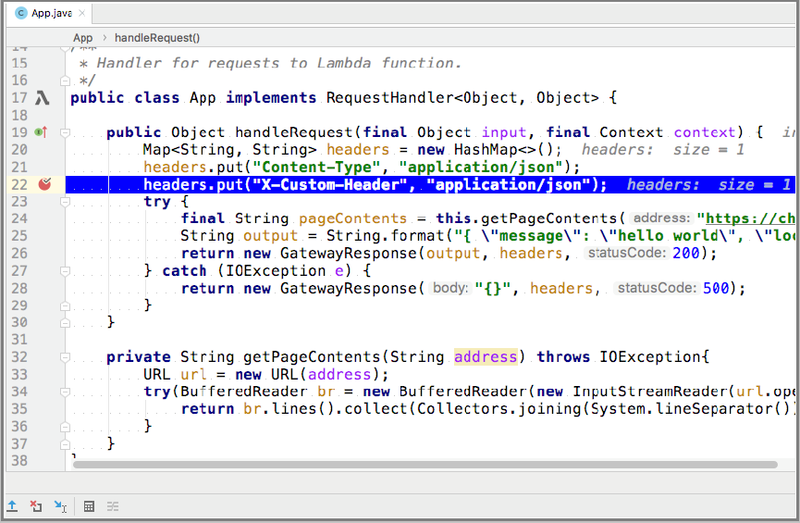 Set breakpoints and debug serverless applications locally. 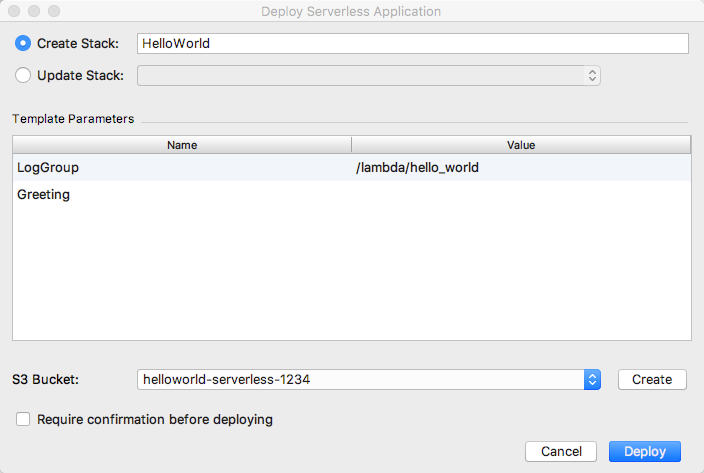 Deploy your serverless application in a few clicks. 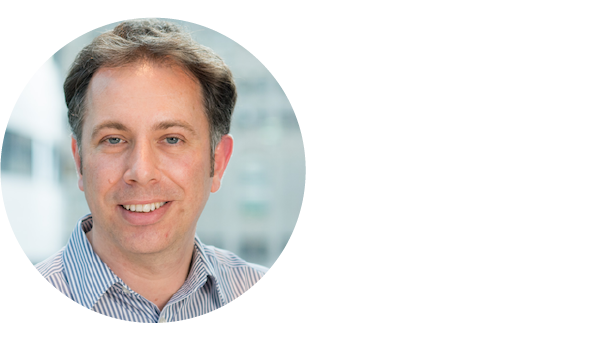 AWS Principal Evangelist Danilo Poccia blogs about how to create, debug, and deploy serverless applications with the AWS Toolkit for IntelliJ. 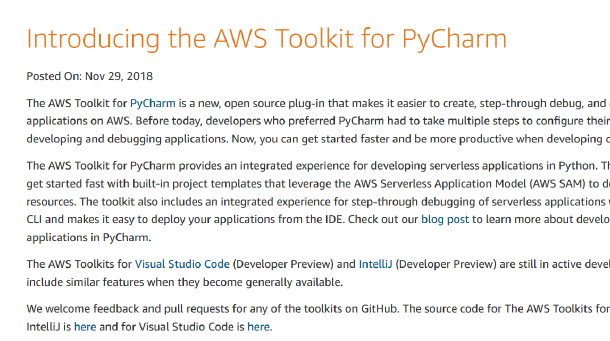 Read our announcement post on what you get with each one of the AWS IDE Toolkits.